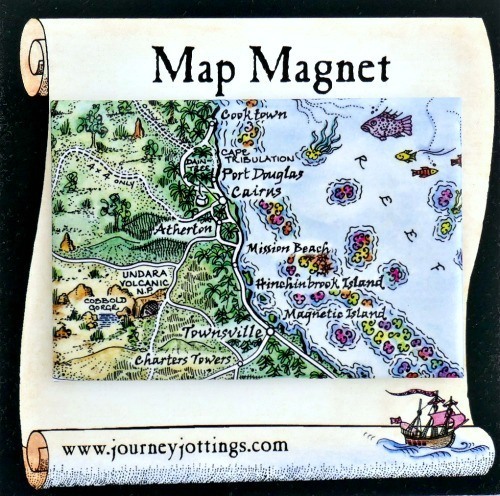 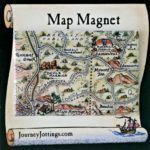 Map Magnets are a fun & useful memento! 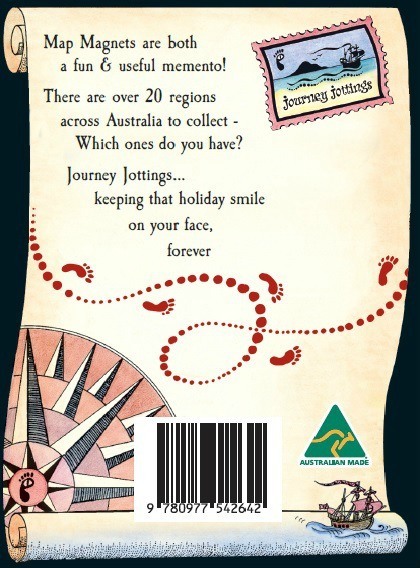 We have 24 regions of Australia featured in cute 80mm x 54mm sized chunks. 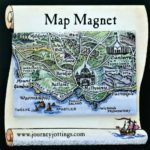 Each magnet, which is presented on a ‘scroll’ motif backing card (illustrated on the right), is pressed out of tin, with a super magnetic backing to hold firm to your fridge door. 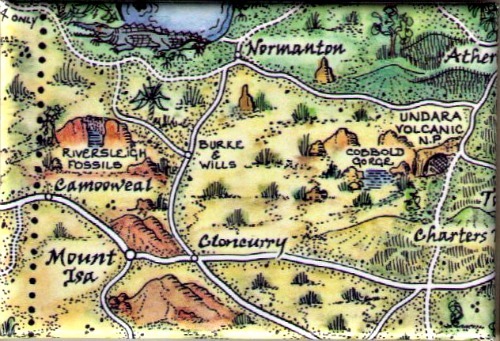 The shaded areas on the map below illustrate all the areas covered by a Map Magnet. 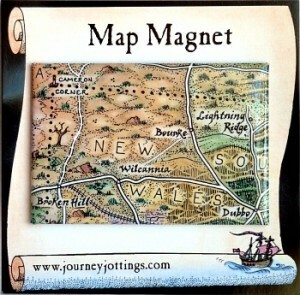 Click here to view Western Australia Map Magnets. 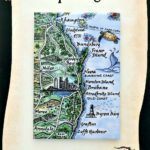 Please note: These Map Magnets are not designed to be pieced together to form a single map of Australia! 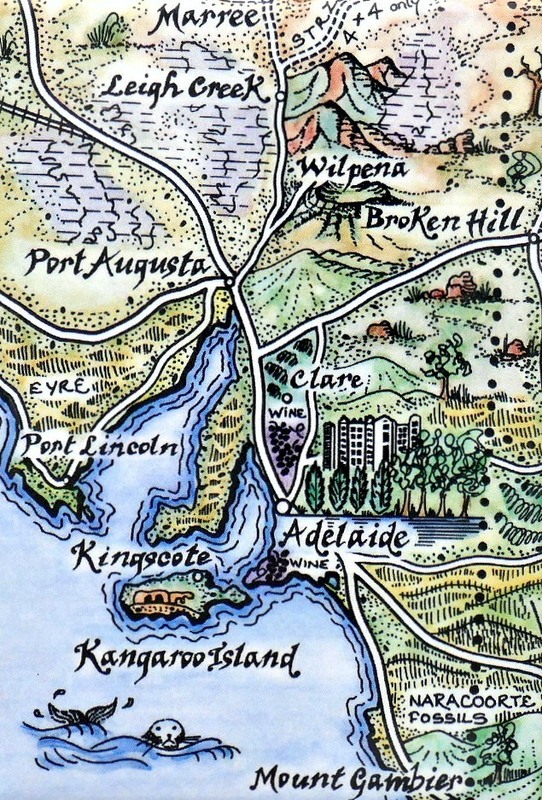 Rather – each focuses on a region you may have visited. 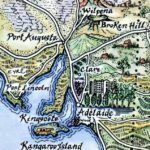 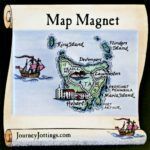 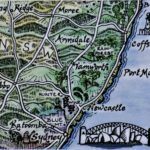 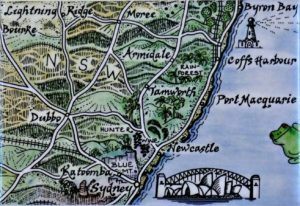 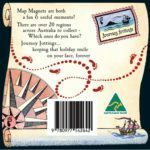 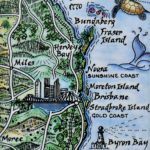 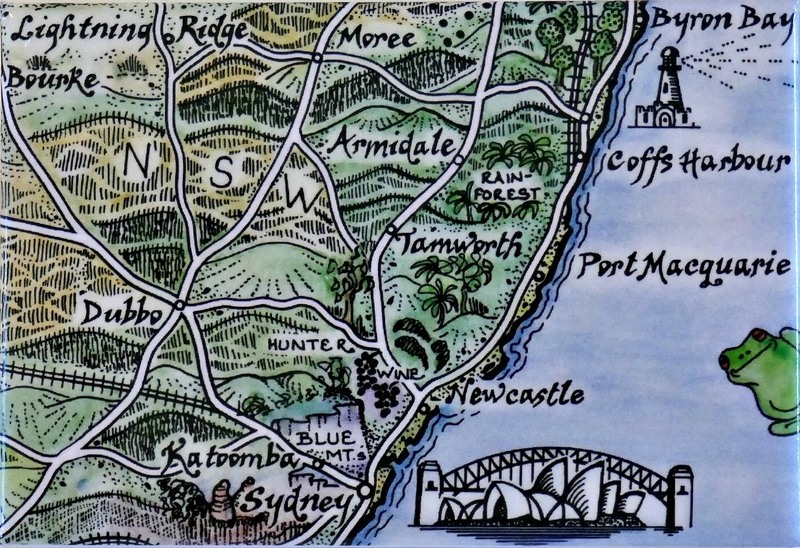 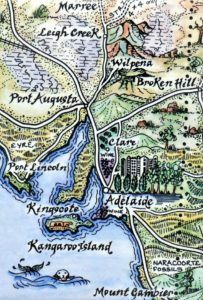 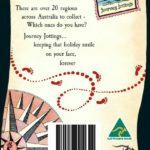 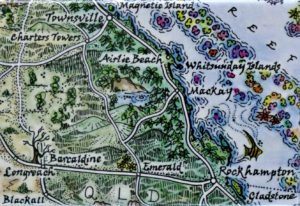 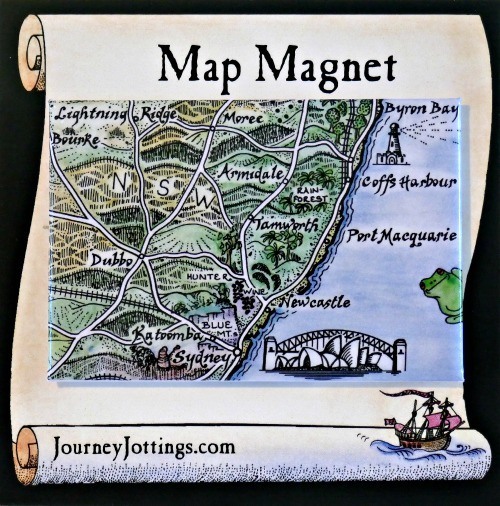 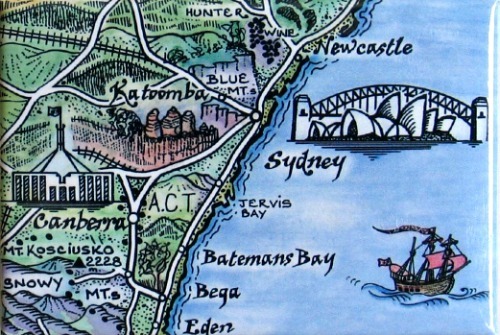 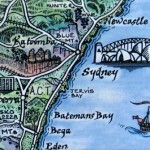 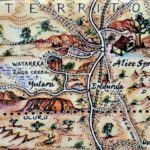 Magnets are listed from north to south – This page illustrates map magnets covering Queensland, NSW, ACT, Victoria & Tasmania. 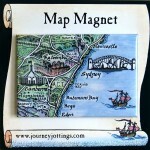 Australia Map Magnets are cute regional chunks of our pictorial Australia map. 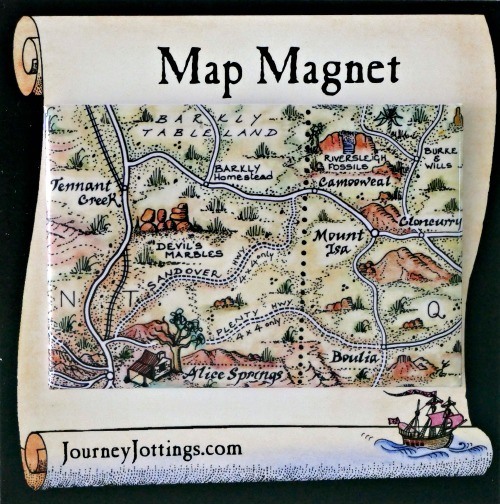 Quirky, yet practical and fun. 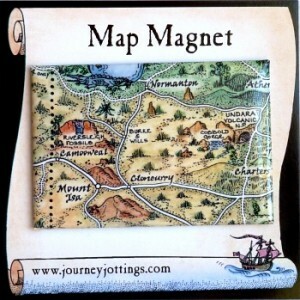 Each magnet comes on a scroll motif backing card and presented in a clear hangsell envelope. 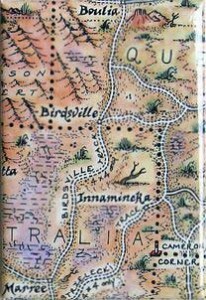 This Australia Map Magnet covers the Gulf region of Queensland. 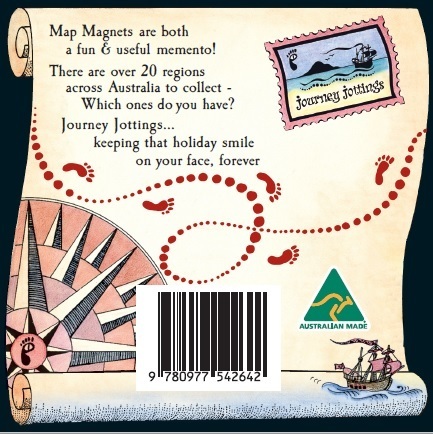 The image on the left shows the magnet on the ‘scroll motif’ presentation backing card. 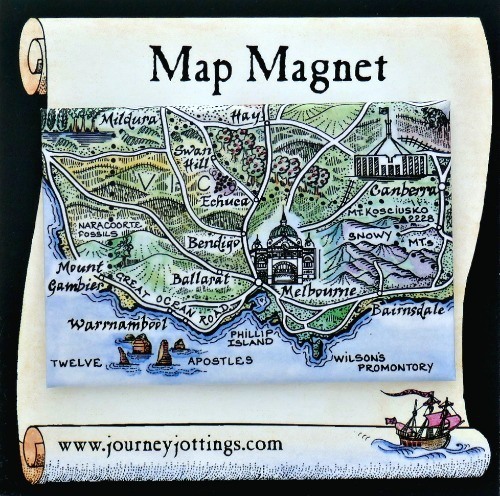 The magnet image is 8cm x 5.4cm laminated onto tin and backed with a super strong magnet. 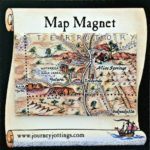 Click thumbnail below to view larger image of the magnet itself. 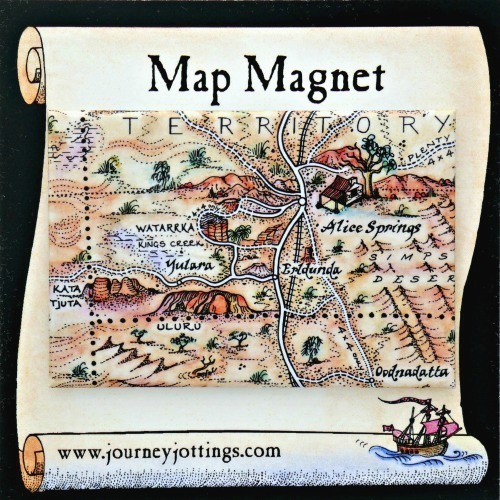 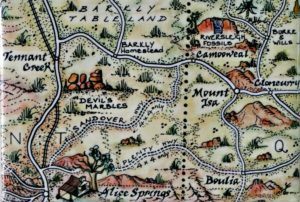 The Central Australia Outback Map Magnet is for those who’ve travelled the road from Queensland along the Barkly Highway to Three Ways, then turned left down to Alice past the mammoth Devils Marbles. 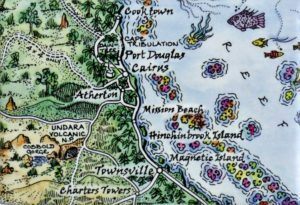 The Great Barrier Reef extends down the Tropical north Queensland coast. 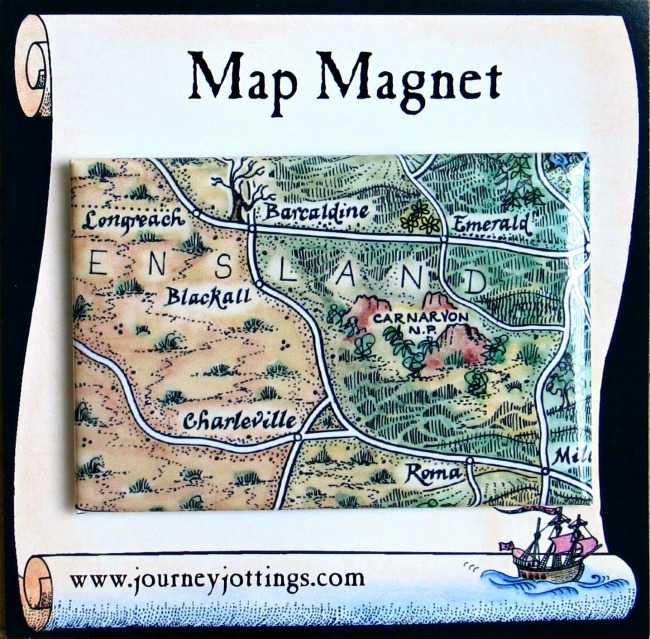 Each magnet comes on a ‘scroll motif’ backing card, presented in a clear hangsell envelope. 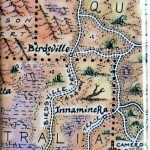 This 8cm x 5.4cm image covers the 4WD Birdsville tracks and the famous Cameron Corner where 3 States converge – Q, SA + NSW. 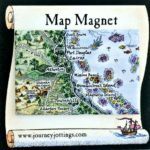 Laminated onto a sturdy tin it’s backed with a super strong magnet. 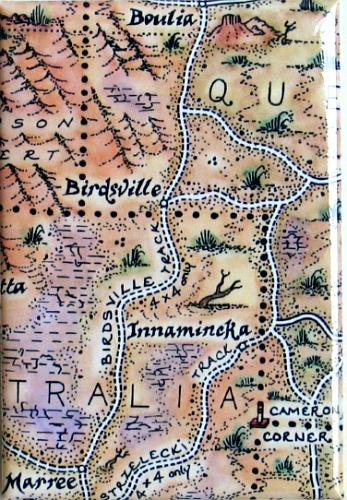 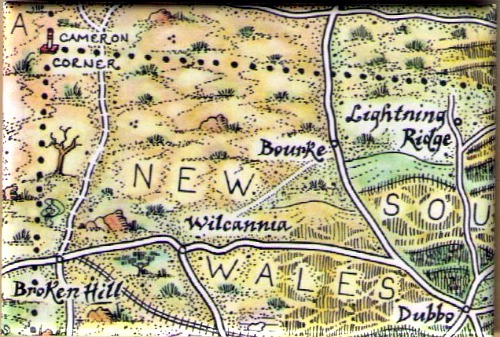 This 8cm x 5.4cm image covers ‘back of Bourke’ to Cameron Corner where 3 Australian States converge – Qld, SA + NSW. 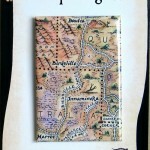 Laminated onto a sturdy tin it’s backed with a super strong magnet. 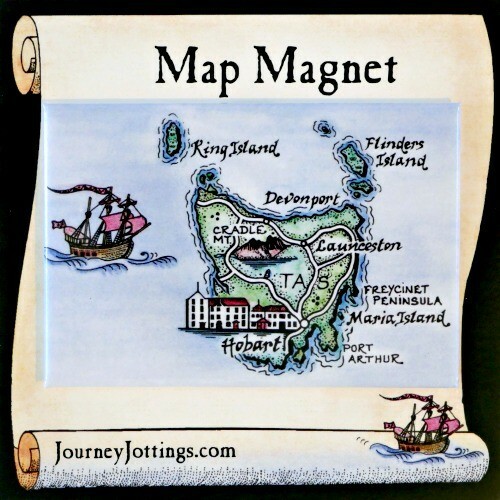 The image to the left shows the magnet on the presentation ‘scroll motif’ backing card. 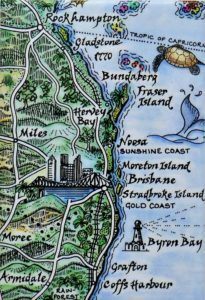 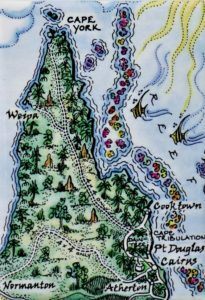 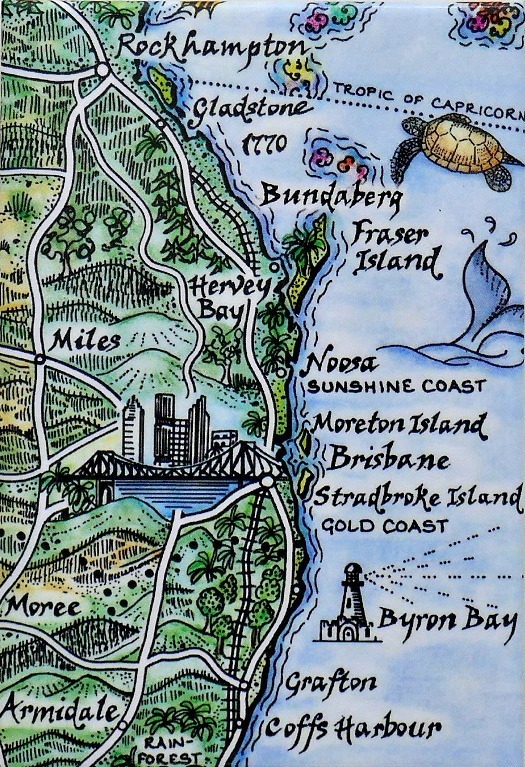 This 8cm x 5.4cm image covers the east coast region from Fraser Island to Byron Bay. 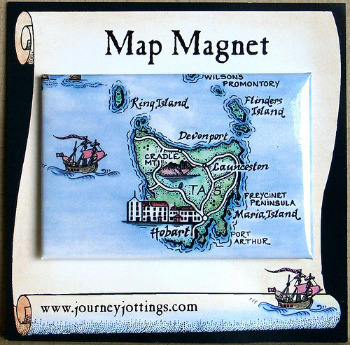 Laminated onto a sturdy tin it’s backed with a super strong magnet. 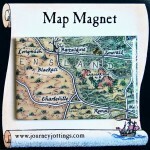 Each magnet comes on a ‘scroll motif’ backing card and presented in a clear hangsell envelope. 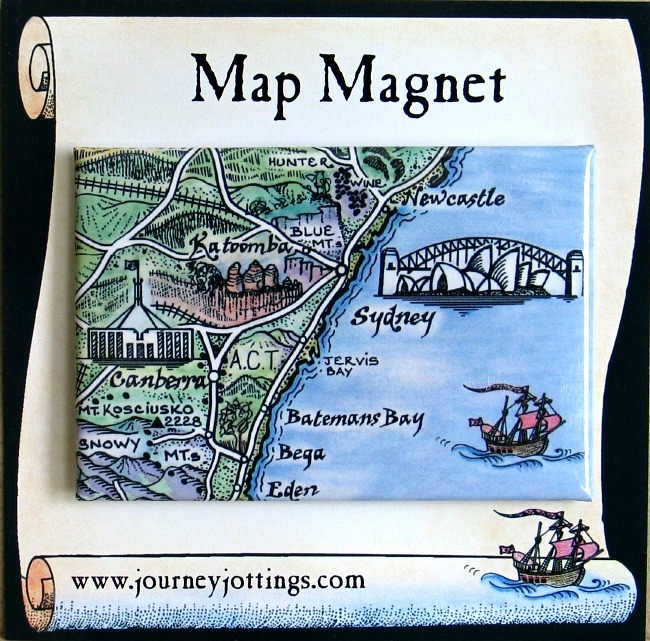 Each magnet comes on a ‘scroll motif’ backing card (illustrated to the left) and presented in a clear hangsell envelope. 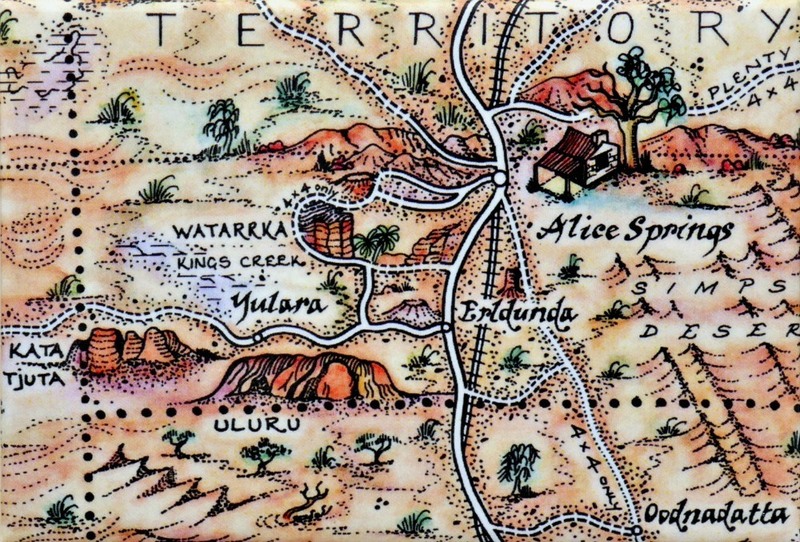 The Red Centre is the heart of the Australian Outback. 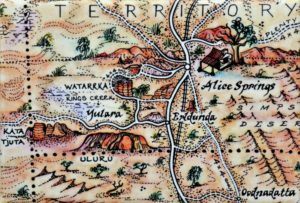 Uluru, The Olgas and Kings Canyon… plus the West MacDonnell Ranges – You’re spoilt for choice here if you love landscape. 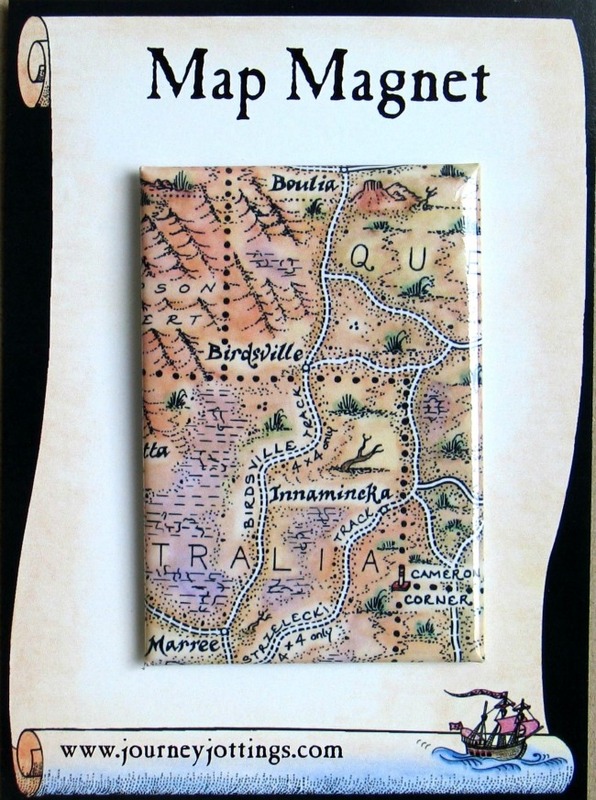 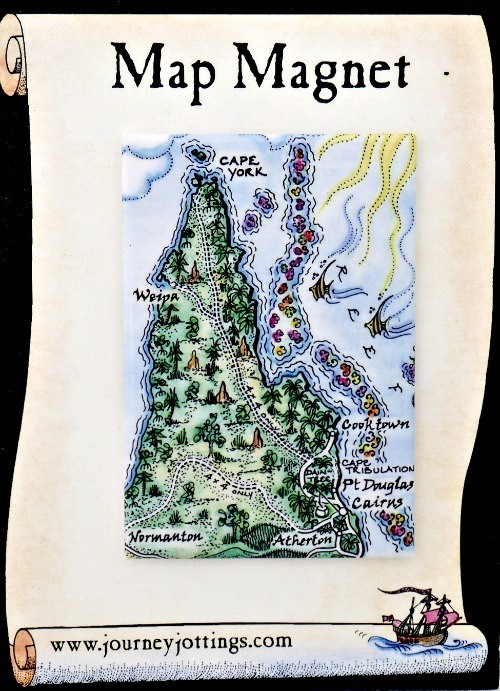 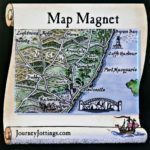 The Map Magnet image is 8cm x 5.4cm laminated onto tin and backed with a super strong magnet, presented on a ‘scroll’ motif backing card, in clear hangsell envelope. 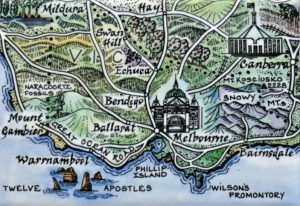 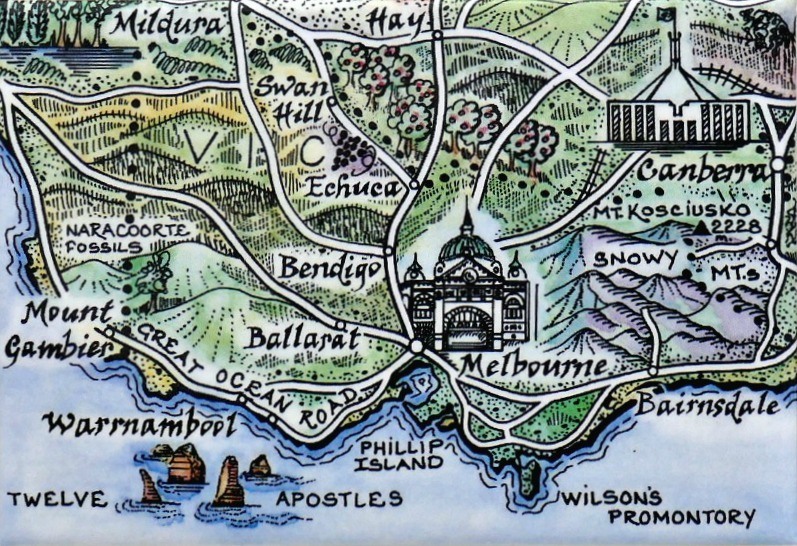 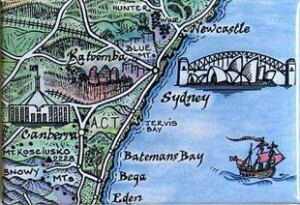 The second of the three Map Magnets we do that cover Melbourne is Melbourne and the Great Ocean Road. 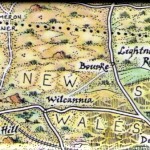 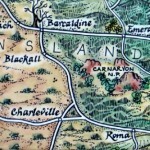 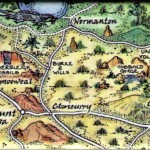 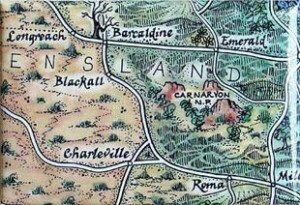 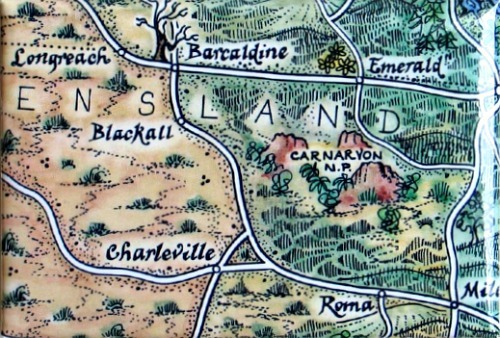 This 8cm x 5.4cm image covers Adelaide, South Australia, Kangaroo Island up the Clare valley to Wilpena Pound. 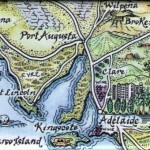 (Also names the whole of Port Augusta – New image coming shortly!). 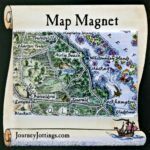 Laminated onto a sturdy tin, it’s backed with a super strong magnet. 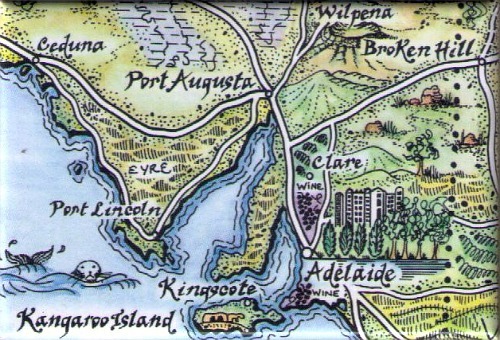 The Eyre Peninsula was added to the range in September 2011 upon talking with Port Lincoln Visitor Information Centre who told us not only are they famous for its Aquaculture & Seafood (in particular Blue Fin Tuna, Coffin Bay Oysters, Cray fish and Western King Prawns) but they are also the only place apart from South Africa to be able to go cage diving with Great White Sharks. 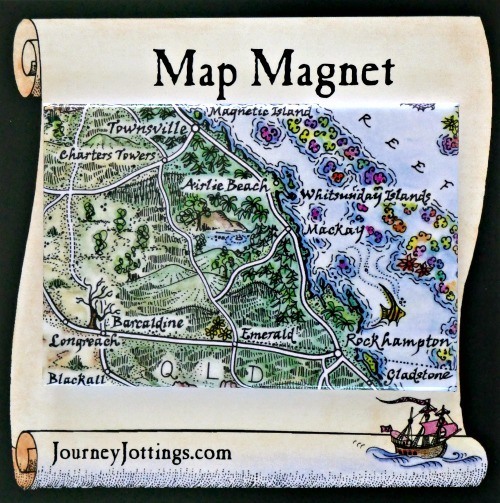 The image is 8cm x 5.4cm laminated onto tin and backed with a super strong magnet and presented on a ‘scroll motif’ backing card, in clear hangsell envelope. 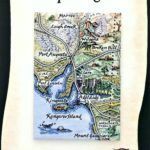 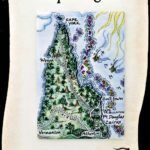 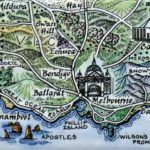 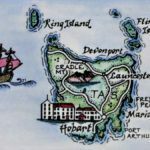 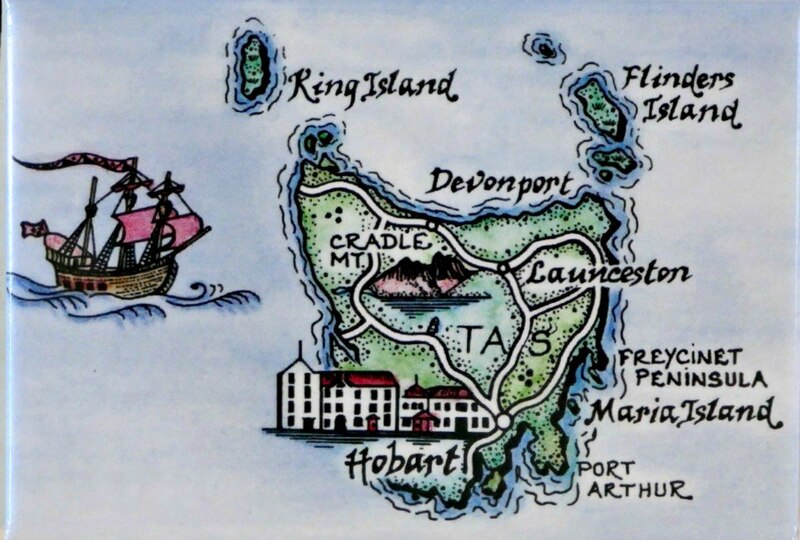 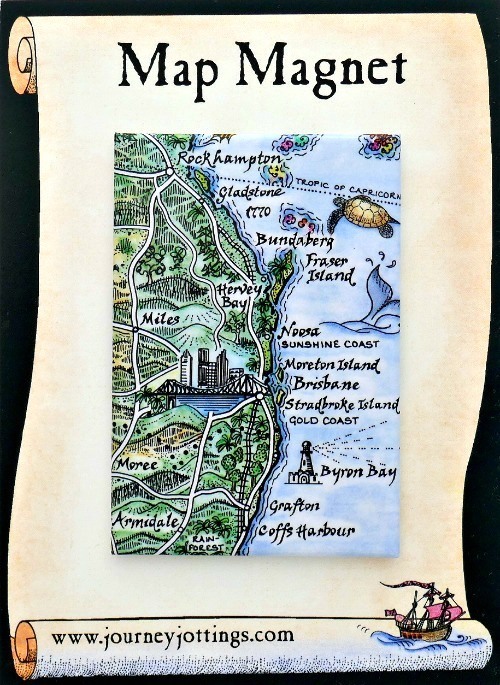 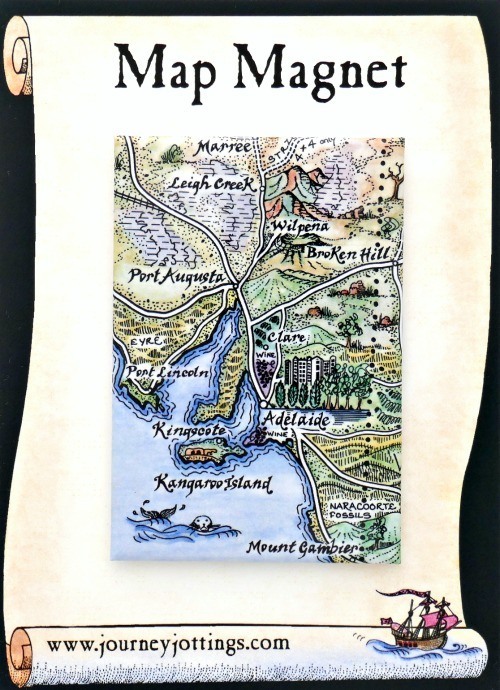 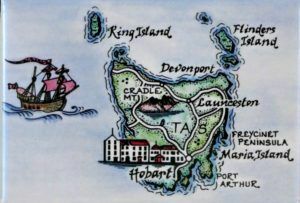 Tasmania is a really cute Map Magnet ~ The image is 8cm x 5.4cm on tin, backed with a super strong magnet, presented on a ‘scroll motif’ backing card, in clear hangsell envelope.